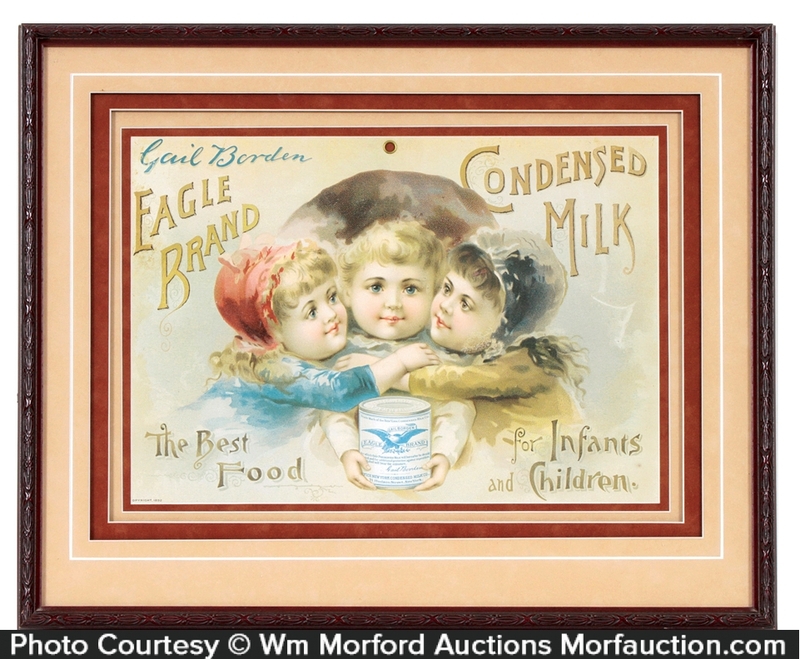 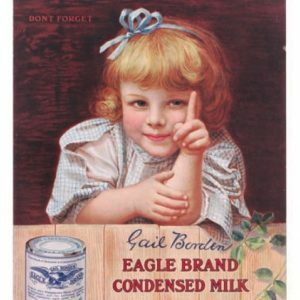 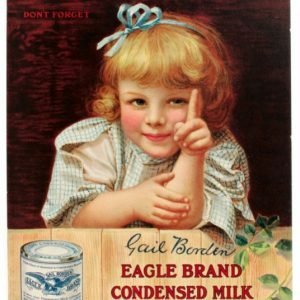 Early lithographed cardboard sign for Gail Borden Co.’s Eagle brand condensed milk, featuring attractive image of young children holding large, early product can (1892 copyright). 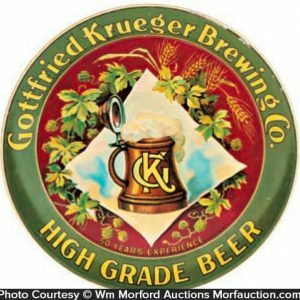 SKU: 83-221. 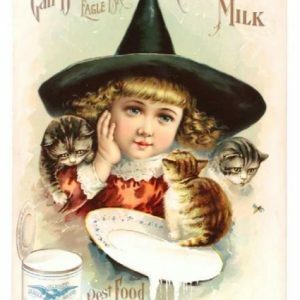 Categories: Antique Signs, Vintage Ice Cream and Dairy. Company/Brand: Eagle Condensed Milk, Gail Borden Co..
Eagle Condensed Milk Sign: Early lithographed cardboard sign for Gail Borden Co.’s Eagle brand condensed milk, featuring attractive image of young children holding large, early product can (1892 copyright). 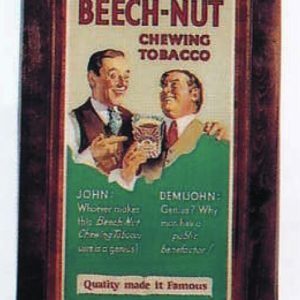 Attractive and displays very well, w/ a little non-offensive faint staining at left edge (C. 8/+). 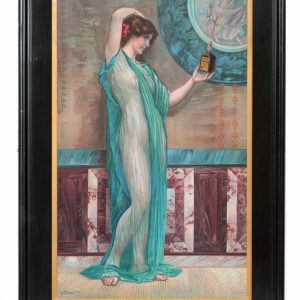 Beautifully presented in gorgeous matted shadow box frame.